A new hypothesis that focuses on reactive oxygen species (ROS) proposes that antioxidant levels within cancer cells are a problem and are responsible for resistance to treatment. 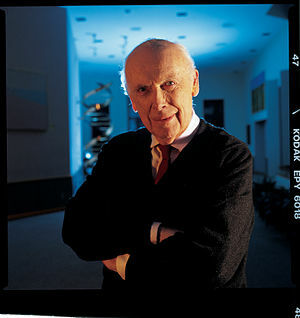 The theory destroys any reason for taking antioxidative nutritional supplements, because they “more likely cause than prevent cancer,” according to Nobel laureate James Watson, PhD, from Cold Spring Harbor Laboratory, New York. Dr. Watson, who shared the Nobel prize for unraveling the structure of DNA, regards this theory as being “among my most important work since the double helix,“ notes a press release from his institution, where he has been director since 1968. The theory was published online January 8 in Open Biology. work by generating — either directly or indirectly — ROS that block key steps in the cell cycle. This generation of ROS creates a hypoxic environment in which cancers cells undergo a transformation from epithelial to mesenchymal cells (EMT). These transformed cells almost inevitably possess very high amounts of antioxidants, which effectively block the effects of anticancer treatments, Dr. Watson notes. Once a cancer becomes resistant to chemotherapy, it usually is equally resistant to ionizing radiation, he points out. metastasize to other body locations (brain, liver, lung). “Only when they have moved do most cancers become life-threatening,” Dr. Watson notes. (Cancer Res. 2009;69:7507-7511), Dr. Watson writes. diabetics who have been using metformin regularly have a reduced incidence of many cancers. Dr. Watson proposes that anticancer therapies work by generating ROS, which cause apoptosis. 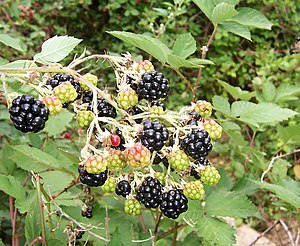 could be due to their high levels of ROS-destroying antioxidants, Dr. Watson argues. High antioxidative levels might also explain the effective incurability of pancreatic cancer, he adds. If this theory is correct, then drugs that lower antioxidant levels within cancer cells would be therapeutic. suggests that the drug could be useful in many major cancers. selenium, could be harmful in cancer. encouragement to eat colorful fruit and berries, which contain antioxidants. The time has come to seriously ask whether antioxidant use more likely causes than prevents cancer. Maurie Markman, MD, national director for medical oncology at the Cancer Treatment Centers of America, who writes the Medscape Markman on Oncology blog, was asked to comment on the theory. it must be emphasized that this is a very complex process and the balance between these powerful influences at the cellular level is certain to be very carefully controlled. it should be noted that antioxidants are components of our normal diets. Pathology has a tradition going back to Rokitanski and Rudolph Virchow. The complexity of this issue is that there is a concomitant metabolic abnormality. and a series of step-by-step changes in the cell related to a change from aerobic to anaerobic glycolysis in the presence of oxygen, noted by Otto Warburg, which is accompanied by mutations, which combined lead to cellular prolieration and cell migration. When you reach the stage of metastasis to distant sites, the process most likely is irreversible. The proposal that the epithelial cells become mesenchymal is not tenable in the case of most epithelial tumors, at least in the sense that they are not sarcomas. The problem is that the intercellular adhesion breaks down, and the underlying stroma also is malignant. If that is what is inferred, it is a new twist. 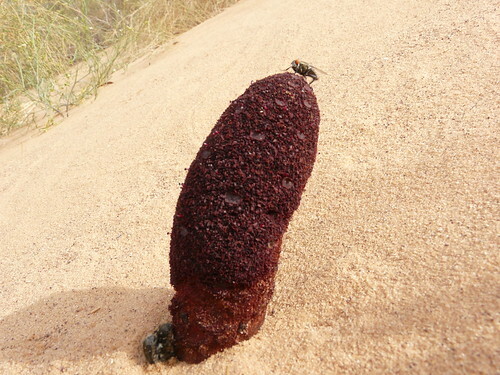 Cynomorium coccineum is an edible, non-photosynthetic plant widespread along the coasts of the Mediterranean Sea. The medicinal properties of Maltese mushroom have been kept in high regard since ancient times. We evaluated the antioxidant potential of fresh specimens of C. coccineum picked in Sardinia, Italy. Both aqueous and methanolic extracts were tested by using multiple assay systems (DPPH, FRAP, TEAC, ORAC-PYR). Total phenolics and flavonoids were also determined. Gallic acid and cyanidin 3-O-glucoside were identified as the main constituents and measured. Both extracts showed antioxidant capacities; ORAC-PYR assay gave the highest antioxidant value in both cases. exerted protection against Cu2+-mediated degradation of the liposomal unsaturated fatty acids. exert an in vitro protective effect in different bio-assays of oxidative stress. useful in the preparation of nutraceuticals and functional foods. This document explores the current understanding of sepsis as a cascade of events that involves the microcirculation unevenly because of a differential effect on the large and contiguous intestinal epithelium, secondary effects on cardiopulmonary blood flows and cardiac output, and the role of Nitric Oxide in the emergence of beneficial and potentially deleterious effects. This leads to a substantial body of work on therapeutic targets, either aimed at total inhibition or selective inhibition of NO synthase, and the special role of iNOS. This is another of a series of discussions on the metabolic and regulatory role of NO in health and disease. Antioxidants are essential, and are involved in several important biological processes such as immunity, protection against tissue damage, reproduction, growth and development. Antioxidants preserve adequate function of cells against homeostatic disturbances such as those caused by septic shock, aging and, in general, processes involving oxidative stress. 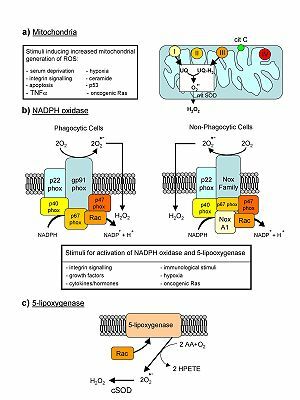 This review focuses on the involvement of reactive oxygen and nitrogen species. The presence of free radicals in biological materials was discovered about 50 years ago. Today, there is a large body of evidence indicating that patients in hospital intensive care units (ICUs) are exposed to excessive free radicals from drugs and other substances that alter cellular reduction -oxidation (redox) balance, and disrupt normal biological functions. However, low levels of free radicals are also vital for many cell signaling events and are essential for proper cell function. Excess free radicals can result from a variety of conditions such as tissue damage and hypoxia (limiting oxygen levels), overexposure to environmental factors (tobacco smoke, ultraviolet radiation, and pollutants), a lack of antioxidants, or destruction of free radical scavengers. When the production of damaging free radicals exceeds the capacity of the body’s antioxidant defenses to detoxify them, a condition known as oxidative stress occurs. A free radical can be described as any atom or a group of atoms or molecules in which there is at least one unpaired electron in the outermost shell . These free radicals are very reactive with adjacent molecules such as lipids, proteins, and carbohydrates and can cause cellular damage. Paradoxically, free radicals can also be produced by many cells as a protective mechanism, for example neutrophils produce free radicals to attack and destroy pathogens, while the liver uses free radicals for detoxification. However, the presence of free radicals within the body can also have a significant role in the development and progression of many disease processes for example heart disease, hypertension, cerebrovascular accidents, and diabetic complications. Any free radical involving O2 is referred to as a reactive oxygen species (ROS). Normal cellular metabolism involves the production of ROS, and in humans, superoxide (O2 -) is the most commonly produced free radical. Phagocytic cells such as macrophages and neutrophils are prominent sources of O2 -. During an inflammatory response, these cells generate free radicals that attack invading pathogens such as bacteria and, because of this, the production of O2- by activated phagocytic cells in response to inflammation is one of the most studied free radical producing systems. The majority of the H2O2 is broken down to O2 and water by the antioxidant enzyme catalase. In addition to catalase, glutathione peroxidase can also break down H2O2 and also any peroxides that form on lipids within the body. When O2 – reacts with nitric oxide (NO), the toxic product peroxynitrite (ONOO-) is formed. Cellular ROS originate from O2- generated as a by-product of oxidative phosphorylation (mitochondrial respiration), they differ in their mechanism of production, necessary cofactors, diffusion range, hydrophobicity, biological targets, detoxification pathways and breakdown products. O-2 damaging reactions largely involve disassembly of iron-sulphur clusters in proteins. H2O2 or O-2 alone lacked reactivity toward iron regulatory protein-1 (IRP-1), but a combined action of the two species induced reversible inactivation of IRP-1. Such an effect was attributed to direct interactions of O-2 and H2O2 with a preformed pool of IRP-1, resulting in reversible modifications of -SH residues; in fact, its action would be limited to removing only iron atoms, an effect sufficient to abolish enzyme activity. Initiation: In a peroxide-free lipid system, the initiation of a peroxidation sequence refers to the attack of an ROS (with sufficient reactivity) able to abstract a hydrogen (H) atom from a methylene group (- CH2-). Propagation: A peroxyl radical is able to abstract H from another lipid molecule (adjacent fatty acid), especially in the presence of metals such as copper or iron, thus causing an autocatalytic chain reaction. The peroxyl radical combines with H to give a lipid hydroperoxide (or peroxide). Termination: formation of a hydroperoxide. Lipid peroxidative damage to lipids in low-density lipoprotein (LDL) plays an important role in atherosclerosis . To protect against oxidative damage, organisms have developed a variety of antioxidant defenses that include proteins, compounds such as vitamins, and specialized antioxidant enzymes. Lipid-soluble antioxidants are located in the cellular membranes and lipoproteins, whereas the water-soluble antioxidants are present in the aqueous environments, such as fluids inside cells and in the blood. Preventative antioxidant enzymes inside the cell are an important defense against free radicals. In humans, the highest levels of SOD are found in the liver, adrenal gland, kidney, and spleen. Catalase and glutathione peroxidase both work to detoxify O2-reactive radicals by catalyzing the formation of H2O2 derived from O2 -. The liver, kidney, and red blood cells possess high levels of catalase, which helps to detoxify chemicals in the body. The water-soluble tripeptide-thiol glutathione also plays an important role in a variety of detoxification processes. Glutathione is found in millimolar concentrations in the cell cytosol and other aqueous phases, and readily interacts with free radicals, especially the hydroxyl radical, by donating a hydrogen atom. Serious infections trigger systemic inflammatory response and can result in sepsis. It is believed that sepsis and therefore septic shock are due to the inappropriate increase in the innate immune response via circulating and tissue inflammatory cells, such as monocytes/macrophages and neutrophils. These cells normally exist in a nonactivated state but are rapidly activated in response to bacteria. Sepsis induces a dysfunction in immune cells that contributes to the development of injuries by producing mediators such as cytokines and ROS. LPS of Gram-negative organisms induces macrophages to secrete cytokines, which in turn activate T, and B cells to upregulate the adaptive immune responses. Toll-like receptor 4 (TLR4) is the LPS receptor and its stimulation induces nuclear factor kB (NF-kB) activation. The activation of NF-kB involves phosphorylation and degradation of IkB, an inhibitor of NF-kB. The NF-kB/IkB system exerts transcriptional regulation on proinflammatory genes encoded for various adhesion molecules and cytokines. Activation of NF-kB leads to the induction of NF-kB binding elements in their promoter regions and also leads to the induction of NF-kB dependent effector genes, which produce modifications in blood flow, and aggregation of neutrophils, and platelets. This results in damaged endothelium and also coagulation abnormalities often seen in patients with sepsis and septic shock. Therefore, NF-kB is reported to be an O2 sensor in LPS-induced endotoxemia. the metabolic cascade of arachidonic acid. the protease-mediated enzyme xanthine oxidase. granulocytes and other phagocytes activated by complement, bacteria, endotoxin, lysosomal enzymes, etc. Other oxidases mainly NADPH oxidase. Under normal physiological conditions, the majority of ROS are formed during cellular respiration and by activated phagocytic cells, including neutrophils, involved in the inflammatory response. ROS have physiologically essential roles in mitochondrial respiration, prostaglandin production pathways and host defense . The electron reduction of O2 occurs in the mitochondrial electron transport system of all aerobically respiring cells. The enzyme catalyzing this transition metals iron and copper in its active site. These ions can be paramagnetic and contain stable unpaired electrons. By using the unpaired electrons in these transition metals to control the O2 reactions, mitochondria prevent the unwanted release of ROS. In sepsis, there are several potential sources of ROS, including the mitochondrial respiratory electron transport chain, xanthine oxidase activation as a result of ischemia and reperfusion, the respiratory burst associated with immune cell activation, arachidonic acid metabolism and NADPH oxidase. In fact, activated immune cells produce O2 – as a cytotoxic agent as part of the respiratory burst via the action of membrane-bound NADPH oxidase on O2. The increase of ROS after LPS challenge has been demonstrated in different models of septic shock in peritoneal macrophages and lymphocytes. a typical behavior of these cells under an oxidative stress situation implies changes in different immune functions such as an increase in adherence and phagocytosis and a decrease in chemotaxis. Neutrophils play a crucial role in the primary immune defense against infectious agents,which includes phagocytosis and the production of ROS. Antioxidants are central to the redox balance in the human body. They do not act in isolation, but synergistically with other classes of molecules. Primary antioxidants prevent oxygen radical formation, by either removing free radical precursors or by inhibiting catalysis, e.g. the enzymes glutathione peroxidase and catalase. Secondary antioxidants react with ROS which have already been formed, either to remove or inhibit them, e.g. vitamins C and E. Endogenous antioxidant defenses exist in a number of locations, namely intracellularly, on the cell membrane and extracellularly. The immune system is highly reliant on accurate cell-cell communication for optimal function, and any damage to the signaling systems involved will result in an impaired immune responsiveness. Oxidant-mediated tissue injury is a particular hazard to the immune system, since phagocyte cells produce ROS as part of the defense against infection. Therefore, adequate amounts of neutralizing antioxidants are required to prevent damage to the immune cells themselves. The SOD enzymes are a family of metalloenzymes which rapidly promote the conversion of O2- to H2O2. Three forms of SOD are recognized to be important: copper-zinc SOD (cytoplasmic-located), manganese SOD (mitochondrial-located) and extracellular SOD (extracellular matrix-located). Catalase and glutathione peroxidase, a selenium containig enzyme which requires the presence of reduced GSH for its action, both catalyze the conversion of H2O2 to H 2O. GSH also has direct antioxidant activity, through donation of hydrogen ions, to repair damaged DNA. Oxidative stress and modulation on GSH/GSSG (GSSG=oxidized GSH) levels also up-regulate gene expression of several other antioxidant proteins, such as manganese SOD, glutathione peroxidase, thioredoxin (Trx) and metallothionein. endothelial NOS (NOS-3 or eNOS). all characteristics of human septic shock. The recogniton of NO production by activated macrophages as part of the inflammatory process was an important milestone for assesing both the biological production of NO and the phenomenon of induction of NOS activity. The observation has been extended to neutrophils, lymphocytes, and other cell types. The role of NO in the pathophysiology of endotoxic shock was advanced by Thiemermann and Vane, who observed that administration of the specific NOS inhibitor N-methyl-L-arginine (L-NMMA) decreased the severe hypotension produced by administration of LPS. Other groups simultaneously reported similar results indicating that endotoxin increases NO production and prompted the idea that pharmacological inhibition of NOS may be useful in the treatment of inflammation and septic shock. However, clinical trials using L-NMMA failed to show a beneficial effect in septic shock patient. The major limitation for the use of NOS inhibitors in clinical studies is the development of pulmonary hypertension as a side effect of NOS blockade, which can be alleviated by the use of inhaled NO. However, several compounds which modulate NO synthesis have been patented in recent years, such as various inflammatory mediators that have been implicated in the induction and activation of iNOS, particularly IFNg, TNFa, IL-1b, and platelet-activating factor (PAF) alone or synergistically. In addition to the activation of iNOS, cytokines and endotoxin may increase NO release by increasing arginine availability through the opening of the specific y+ channels and the expression of the cationic amino acid transporter (CAT), or by increasing tetrahydrobiopterin levels, a key cofactor in NO synthesis. Several experimental studies have demonstrated a decrease in NOS activity resulting in an impairment in endothelial-dependent relaxation during endotoxemia and experimental sepsis, possibly as the result of a cytokine-or hypoxia-induced shortened half-life of NOS mRNA, or of altered calcium mobilization. NO exerts in vitro toxic effects including nuclear damage, protein and membrane phospholipid alterations, and the inhibition of mitochondrial respiration in several cell types. Mitochondrial impairment could also be considered as an adaptive phenomenon, decreasing cellular metabolism when the energy supply is limited. The toxicity of NO itself may be enhanced by the formation of ONOO- from the reaction of NO with O-2. Therefore, the multiple organ failure syndrome (MOFS) that often accompanies severe sepsis may be related to the cellular effects of excess NO or ONOO-. that can also alter critical cellular components. During the first hours after injury, iNOS-mediated NO production is upregulated, producing a burst of NO that far exceeds basal levels. This overabundance of NO produces significant cellular injury via several mechanisms. NO also interacts with the O-2 to yield ONOO-, a highly reactive compound that exacerbates the injury produced by either O-2 alone or NO alone. The ONOO- generation which occurs during fluid resuscitation in the injured subject produces cellular death by enhancing DNA single strand breakage, activates the nuclear enzyme polyADP ribose synthetase (PARS), leading to cellular energy depletion and cellular necrosis. The detrimental effects of ONOO- in shock and resuscitation have been attributed to oxidation of sulfhydryl groups, the nitration of tyrosine, tryptophane, and guanine, as well as inhibition of the membrane sodium-potassium adenosine triphosphatase. PARS activation depletes NAD and thus alters electron transport, ATP synthesis, and glycolysis; and leads to DNA fragmentation and cellular apoptosis. The activation of monocytes, macrophages and endothelial cells by LPS results in the expression of iNOS, and consequently increases the transformation of L-arginine to NO, which can combine with O2- to form ONOO-, causing tissue injury during shock, inflammation and ischemia reperfusion. NO stimulates H2O2 and O-2 production by mitochondria, increasing leakage of electrons from the respiratory chain. H2O2, in turn, participates in the upregulation of iNOS expression via NFkB activation. ONOO- has been shown to stimulate H2O2 production by isolated mitochondria. On the other hand, NO can decrease ROS-produced damage that occurs at physiological levels of NO. The high reactivity of NO with radicals might be beneficial in vivo by scavenging peroxyl radicals and inhibiting peroxidation. ONOO- may also be a signal transmitter and can mediate vasorelaxation, similarly to NO. Local generation of RNS contributes to tissue injury. Recent studies have demonstrated that activation of the nuclear enzyme poly(ADP-ribose) polymerase-1 by RNS-mediated DNA damage is an important pathway of tissue injury in conditions associated with oxidative stress. Increased formation of RNS in response to endotoxin challenge is organ specific. In sepsis, NO may exert direct and indirect effects on cardiac function. Sustained generation of NO occurs in systemic inflammatory reactions, such as septic shock with involvement in circulatory failure. In fact, myocardial iNOS activity has been reported in response to endotoxin and cytokines and inversely correlated with myocardial performance. Low-to-moderate doses of iNOS inhibitors restore myocardial contractility in hearts exposed to proinflammatory cytokines, whereas at higher doses, the effects are reversed. This finding may indicate that small amounts of NO produced by iNOS may be necessary to maintain contractility and can be cardio-protective in experimental sepsis. A list of effects of NO in sepsis is as follows. The possible involvement of the L-arginine-NO pathway in both the vascular and cellular processes seen in sepsis has been supported by numerous in vitro and in vivo studies. iNOS appears to be expressed in a wide array of cell types during sepsis, including immune cells (such as macrophages, neutrophils, T lymphocytes), as well as cells outside the classical immune system (for example, hepatocytes, Kuppfer cells, vascular smooth muscle cells, endothelial cells, and fibroblasts). Expression of iNOS is regulated, both positively and negatively, by a number of mediators present during infection and inflammation. The main stimuli for iNOS induction indude lipopolysaccharide (LPS), interferon-y, interleukin (IL)-10, and tumor necrosis factor (TNF)-a; inhibitory cytokines, such as transforming growth factor-5, IL-4 and IL-10, as well as glucocorticoids, can prevent this induction. The expression of iNOS in response to these agents differs among cell types, but a maximal inducing effect is generally obtained by the combination of microbial products and cytokines acting synergistically. iNOS activity is also regulated by substrate and cofactor availability. Tetrahydrobiopterin (BH4), an essential cofactor for the enzyme, is coinduced with iNOS in cytokine-stimulated vascular smooth muscle cells. NO is a simple molecule, but its widespread production in sepsis, coupled with its effects on a variety of intracellular and extracellular target molecules, results in a complex array of biologic roles. Interaction of NO with the metalloproteins in a number of key enzymes can modulate their activity. Many of the signaling actions of ‘NO are mediated by soluble guanylate cyclase. By binding the iron on the heme component of soluble guanylate cyclase, NO is able to activate the enzyme leading to cyclic guanosine monophosphate (cGMP) formation. However, *NO can adversely affect cellular metabolism through its disruption of iron-sulfur clusters in essential energy-generating enzymes involved in mitochondrial electron transport, glycolysis, and the Krebs cycle. Further, high concentrations of induced macrophage produced NO can directly interfere with DNA in target cells, resulting in fragmentation. Another critical reaction that ‘NO undergoes during inflammation is with the superoxide anion radical (02j, yielding peroxynitrite (OONO-). OONO- is a potent oxidant that can decay under acidic conditions to produce a powerful hydoxyl-like free radical. This reaction between *NO and O2 can have a protective or damaging consequence, depending on the individual sites and rates of production of the free radicals, and the redox status of both the generating cells as well as the target cells. OONO- formation can initiate adverse effects such as lipid peroxidation of membranes, and modification of structural proteins through nitration of tyrosine residues (14). Indeed, increased levels of 3-nitrotyrosine have been detected in the lungs of patients with sepsis and animals with acute lung injury. However, OONO- can also S-nitrosylate glutathione and other thiol-containing substances to form S-nitrosothiols, which have marked cardioprotective and cytoprotective effects. The damaging effect of NOS inhibition may be, in part, mediated by oxygen radicals and platelet deposition, suggesting a cytoprotective role of NO in preventing microvascular thrombosis and as a free radical scavenger. In addition, ‘NO has a protective role in hepatic microcirculatory dysfunction during sepsis through its effect on leukocyte adherence to sinusoidal walls. ‘NO may also protect against circulatory vasoconstrictors during inflammation, as enhanced ‘NO synthesis counteracted phenylephrine-induced increases in intrahepatic resistance in endotoxin-treated rats. Finally, we have recently demonstrated that different types of NOS inhibitors resulted in detectable apoptosis in the liver following LPS injection. This increase in apoptosis was present even with L-N-iminoethyl-lysine (L-NIL), a rather specific inhibitor of iNOS, revealing another important protective role of NO as an antiapoptotic agent in sepsis. Even though overproduction of *NO in the vasculature contributes to the vasodilatation seen in septic shock, iNOS expression during inflammation also represents a beneficial, adaptive response in some organ systems. Moreover, different tissues can react dissimilarly to the effects of ‘NO cytotoxicity. In this setting, global nonselective inhibition of NOS, including the potentially undesirable consequences of eNOS inhibition, would be harmful. If confirmed, this would suggest that use of isoform-specific inhibitors of NOS within the vascular bed would be more appropriate. Pulmonary hypertension and reduced cardiac output can be major side effects of continuous NO synthase inhibition. Pulmonary vasoconstriction is undesirable because it may compromise pulmonary gas exchange and because it increases the workload on the right ventricle. In cases where strain already exists on the right ventricle (e.g. sepsis or PEEP ventilation) or in cases where right sided cardiac reserve is minimal, such increase in workload may lead to right ventricular failure, reduced cardiac output and compromised tissue perfusion. Blood pressure and systemic vascular resistance increased during infusion of the NO synthase inhibitor L-NAME, and the dosage of catecholamines was reduced. The vasoconstrictive response to L-NAME most likely was the result of blocking the NO system . In addition to the systemic effects of L-NAME, severe pulmonary vasoconstriction was observed with L-NAME. Analogous to these findings, in patients with Adult Respiratory Distress Syndrome (ARDS), inhalation of NO is reported to be beneficial by causing local vasodilation in bronchial and pulmonary circulation which results in reduced pulmonary vascular resistance and improved oxygenation. This suggests that the pulmonary circulation is sensitive to the vasodilating effects of both endogenous and exogenous NO. Pulmonary vasoconstriction is not, therefore, unexpected with systemic inhibition of NO synthesis. With a continuous infusion of L-NAME, pulmonary vascular resistance increased five-fold, whereas systemic vascular resistance “only” doubled. pulmonary hypertension was reversible after stopping L-NAME infusion. In prior experiments with a lower dose of LNAME, pulmonary vasoconstriction was less pronounced and did not result in pulmonary hypertension.’ Thus, pulmonary hypertension is a dose-related effect of L-NAME that can probably be attributed to overdosing of the drug. Reduced cardiac output may have directly resulted from the extreme increase in pulmonary vascular resistance compromising venous return and left ventricular preload and/or a reflex reduction in heart rate by the increase in vascular resistance and blood pressure. S-methyl-isothiourea, a relatively selective inhibitor of iNOS activity, decreased pulmonary leak and improved survival in endotoxemia. However, because of the tissue-protective and antiapoptotic effects of NO, even selective iNOS inhibitors may be detrimental in certain tissues during sepsis.Combining the salutary effects of site-specific local donors that exploit the cytoprotective actions of ‘NO with specific agents that combat the deleterious hypotensive and tissue-damaging effects of ‘NO overproduction may be needed to treat septic shock. In this regard, inhaled ‘NO gas has shown promise as a selective pulmonary vasodilator. Since the discovery that nitric oxide (‘NO) accounts for the biologic activity of endothelial-derived relaxing factor, a torrent of research over the last decade has focused on its role, protective or detrimental, in myriad pathophysiologic conditions. Recently, increasing attention has focused on ‘NO as a possible mediator of the severe hypotension and impaired vasoreactivity characteristic of circulatory failure. Experimental and clinical studies have suggested NOS inhibition might have therapeutic potential in circulatory shock, and other studies have demonstrated the beneficial nature of iNOS expression in modulating tissue perfusion and mediating cytotoxicity. However, inhibition of ‘NO synthesis in experimental and clinical studies of shock has yielded mixed, sometimes contradictory, results. Overproduction of ‘NO in the vasculature may result in systemic vasodilatation, but still ‘NO synthesis has a beneficial role in regulating organ perfusion and mediating cytotoxicity. These findings are consistent with those in trauma patients, where nitrite and nitrate levels were reduced for prolonged periods after injury. This impairment of ‘NO production in victims of hemorrhagic hypotension may be due to impairment of eNOS, and indeed, several investigators have demonstrated decreased vasodilatory activity in vascular rings taken from hemorrhaged animals in response to agonists that stimulate endothelial ‘NO production. In studies of hemorrhagic shock no iNOS expression could be detected until the very late irreversible phase of HS. The hemodynamic instability associated with decompensation occurred well before NOS induction. Using either the selective inhibitor L-NIL or iNOS knockout mice, iNOS inhibition or deficiency not only prevented the upregulation of the inflammatory cytokines IL-6 and granulocyte colony-stimulating factor following resuscitation from HS but also produced a marked reduction in lung and liver injury. Furthermore, the activation of the proinflammatory transcriptional factors nuclear factor kappa B and signal transducer and activator of transcription 3 was also reduced, suggesting iNOS upregulation has a key role in proinflammatory signaling and the subsequent activation of inflammatory cascades. Recent studies have implicated a possible redox-sensitive mechanism. ‘NO activates the critical signaling enzyme p21ras through S-nitrosylation. Vascular quenching of ‘NO using scavengers may again provide an alternative to NOS inhibition as a means to achieve the goal of reducing ‘NO levels. Use of ‘NO scavengers after HS and resuscitation may serve to supplement a possibly depleted antioxidant defense system and limit the harmful effects of free radicals such as OONO- and hydoxyl radicals. Removal of ‘NO by this method is complicated by the extreme rapidity of the reaction between ‘NO and 02’- . iNOS upregulation also has a beneficial protective role in several organ systems. In conditions where excess NO production results in maladaptive damaging consequences with disruption of homeostasis, the therapeutic strategy should be to remove this surplus ‘NO without adversely affecting the cytoprotective actions of *NO. Interfering with the physiologic and microcirculatory role of eNOS through nonselective, global inhibition of NOS is undesirable in shock. Effects of nitric oxide in endotoxemia and hemorrhagic shock and proposed therapeutic strategies for manipulation of nitric oxide production. Patients were randomized to supportive care alone (n=15, control group) or to supportive care in addition to L-NAME (1 mg/Kg bolus and 1 mg/Kg/h continuous IV drip for 5 h n=15). Death at one month was 27% in the L-NAME group vs. 67% in the control group (p=0.008). Time on IABP and time on mechanical ventilation were significantly shorter in the L-NAME group. The results of this study indicate that NO synthase inhibitors are beneficial in the treatment of patients with refractory cardiogenic shock. Inducible nitric oxide synthase (iNOS)-dependent production of nitric oxide (NO) plays an important role in inflammation. The effects of various naturally occurring furanocoumarins on NO production in lipopolysaccharide (LPS)-activated RAW 264.7 macrophage cells were evaluated in vitro. The results showed that angelicin, pimpinellin, sphondin, byakangelicol, oxypeucedanin, oxypeucedanin hydrate, xanthotoxin, and cnidilin are potential NO production inhibitors, and their IC50 values for inhibition of nitrite production were 19.5, 15.6, 9.8, 16.9, 16.8, 15.8, 16.6, and 17.7 mg/mL, respectively. Distinct structure activity relationships were also revealed for the NO production inhibitory activities of these furanocoumarins. Activities of the angelicin type such as pimpinellin and sphondin were more potent than those of the psoralen type. Presence of a methoxy at the C6 position in the angelicin type seemed to be essential to augment the activity. Western blot analysis demonstrated that only sphondin dose-dependently inhibited the expression of the iNOS protein at 2.5±20 mg/mL. However, iNOS enzyme activity was stimulated with LPS for 12 h and sphondin was administered (20 mg/mL) for 24 h, which did not reasonably inhibit iNOS enzyme activity. l-NAME (100 mM), a known specific inhibitor of iNOS, was employed as a positive control with the same protocol and showed more than 50% inhibition activity. The results demonstrate that the NO production inhibitory activity of sphondin is due to the effect of iNOS expression, but not by direct inhibition of iNOS enzyme activity. Thus, sphondin may act as a potent inhibitor of NO production under tissue-damaging inflammatory conditions. Non-isoform-selective inhibition of NO formation, however, may lead to side effects by inhibiting the constitutive isoform of NOS and, thus, the various physiological actions of NO. S-Methylisothiourea sulfate (SMT) is at least 10- to 30-fold more potent as an inhibitor of inducible NOS (iNOS) in immuno-stimulated cultured macrophages (EC50, 6 ,AM) and vascular smooth muscle cells (EC50, 2 ,uM) than NG-methyl-L-arginine (MeArg) or any other NOS inhibitor yet known. The effect of SMT on iNOS activity can be reversed by excess L-arginine in a concentration-dependent manner. Enhanced formation of NO following the induction of iNOS contributes importantly to the circulatory failure (hypotension and vascular hyporeactivity to vasoconstrictor agents) in circulatory shock of various etiologies. SMT, a potent and selective inhibitor of iNOS, may have considerable value in the therapy of circulatory shock of various etiologies and other pathophysiological conditions associated with induction of iNOS. SMT, or other iNOS-selective inhibitors, are likely to have fewer side effects which are related to the inhibition of eNOS, such as excessive vasoconstriction and organ ischemia), increased platelet and neutrophil adhesion and accumulation, and microvascular leakage. Nitric oxide (NO), a short-lived potent vasodilator, was first described as the endothelium-derived relaxation factor (EDRF). The formation of NO from the guanidine nitrogen group of L-arginine is catalyzed by a group of enzymes termed constitutive (cNOs) and inducible (iNOs) NO synthases. The inducible form is not present constitutively in mammalian cells but is induced by proinflammatory stimuli such as bacterial lipopolysaccharide (LPS), Corynebacterium parvum, and the cytokines tumor necrosis factor-a, interleukin-1, or interferon-y, individually or in combination. Excess production of NO is reported to be associated with the development of hypotension associated with endotoxemia and sepsis. Electrochemical studies show that FeIII-(DTPA)2- binds NO stoichiometrically upon reduction to iron(II) at biologically relevant potentials to form a stable NO adduct. In contrast, FeI”I(HDFB)+ is a stable and efficient electrocatalyst for the reduction of NO to N20 at biologically relevant potentials. These results suggest that the mechanism of protection against death by septic shock involves NO scavenging and that particularly effective drugs that operate a low dosages may be designed based on the principle of redox catalysis. These complexes constitute a new family of drugs that rely on the special ability of transition metals to activate small molecules. Iron complexes could act as general NO scavengers and provide protection against septic shock. Iron complexes are capable of forming relatively stable NO adducts. Metal complexes, and in particular iron chelators, could act as “molecular sponges,” mopping up the excess NO produced during septic shock. Iron chelators can sequester and (as for 2) catalyze conversion of NO to benign products. Demonstration of mechanistic aspects of septic shock protection in vivo, including interaction with other free radicals, may be hampered by the detection limits of current analytical techniques. To detect the NO Fe-DETC complex formation in livers of LPS-treated mice by the electron paramagnetic resonance. After screening a library of metal chelators and chelates [Fe(III)(H2DTPA)] and [Fe(III)(HDFB)]+ offered the highest mortality decrease in an experimental model of septic shock. The Fe(II) form of both complexes can bind NO, which appears to be related to their biological function. Survival was greatly enhanced by the administration of 4 or 2 either 2 h before and at the time of or 30 min after LPS. In contrast, the Fe3+-free ligands of these compounds, 3 and 1, were less protective when administered before and at the time of LPS and virtually ineffective when administered after LPS. The clear advantage of 4 over 2 when administered after LPS was observed over a large number of experiments [76% survival with 4 (n = 102 mice) and 38% survival with 2 (n =64 mice)]. The hydroxamic acid siderophore ferrioxamine B [Fe”‘(HDFB)+] and the iron complex of diethylene-triamine-pentaacetic acid [FeI”(DTPA)2i] protected mice against death by septic shock induced by Corynebacterium parvum + lipopolysaccharide. Although Fem(DTPA)2- was somewhat more effective than FeI”(HDFB)+, the iron-free ligand H4DFB+ was significantly more effective than DTPA. The hydroxamic acid chelator has a much higher iron affinity than the amine carboxylate, allowing for more efficient formation of the FeI”(HDFB)+ complex upon administration of the iron-free ligand. Bacteremia and septic shock also are associated with overproduction of free radicals such as hydroxyl, superoxide, and carbon- and oxygen-centered radicals. In addition, nitric oxide (NO) overproduction is at least partly responsible for the vasodilation that causes a reduction in mean systemic arterial pressure (MSAP) and organ perfusion pressure during septic shock. This overproduction of NO likely results from early activation of the endothelial constitutive form of NO synthase followed by induction of the inducible form of NO synthase via TNF and IL-1. The simultaneous increase and further reaction of NO with superoxide, which yields the oxidant peroxynitrite anion, occurs in cellular systems in response to inflammatory mediators. In addition, in sepsis-associated adult respiratory distress syndrome (ARDS), the presence of nitrotyrosine residues (formed by reaction of peroxynitrite and the tyrosine residues of proteins) are apparent throughout the lung. Administration of the iron (III) complex of diethylenetriamine pentaacetic acid (DTPA iron (III), prevented death in Corynebacterium parvum 1 LPS-treated mice. Using electrochemistry, the binding of NO to DTPA iron (II) is confirmed. The DTPA iron (II) form can be easily formed by common biological reductants, because the potential for the iron (III/II) couple is E = 0.22. Treatment with DTPA iron (III) resulted in a significant decrease in mortality compared to the untreated controls. The efficacy of DTPA iron (III) increased when given to mice 2 h or more after infection. The best results were observed when DTPA iron (III) was given 5 h after infection. The iron (III) complex of diethylenetriamine pentaacetic acid (DTPA iron [III]) protected mice and baboons from the lethal effects of an infusion with live LD 100 Escherichia coli. In mice, optimal results were obtained when DTPA iron (III) was administered two or more hours after infection. Prevention of death occurred in spite of the fact that the adverse effects of TNFa were well underway in the mouse model. Poly(adenosine 5′-diphosphate [ADP]-ribose) synthetase (PARS) is a nuclear enzyme which, when activated by DNA singlestrand breaks, initiates an energy-consuming, inefficient metabolic cycle by transferring ADP-ribose units to nuclear proteins. The result of this process is a rapid depletion of intracellular oxidized nicotinamide adenine dinucleotide and adenosine 5′-triphosphate energetic pools, which slows the rate of glycolysis and mitochondrial respiration, leading to cellular dysfunction and death. Reactive oxygen-centered radicals (superoxide, hydroxyl radicals, singlet oxygen, and hydrogen peroxide) and peroxynitrite (a reactive oxidant produced from the reaction of superoxide and nitric oxide) are powerful triggers of DNA single strand breakage, and they induce activation of a cell suicide cycle governed by PARS in various cell types in vitro. Multiple reports implicated a role of PARS activation in the pathophysiology of endotoxic shock, hemorrhagic shock, and various forms of ischemia-reperfusion injury. Twenty pigs were chronically instrumented with intracardiac transducers to measure left ventricular pressure, sonomicrometer crystals in the left ventricle to measure short axis diameter, an ultrasonic flow meter to measure cardiac output, and catheters in the pulmonary artery and aorta to measure blood pressures and collect samples. By using a randomized study design, either the novel potent PARS inhibitor PJ34 (10 mg/kg for 1 hr, 2 mg·kg 1·hr 1 for 96 hrs) or placebo to pigs immediately before intraperitoneal implantation of Escherichia coli 0111.B4 (2.3 0.1 1010 colony-forming units/kg)-laden fibrin clots to produce peritonitis and bacteremia. PJ34 treatment significantly attenuated this cytokine response. The formation of peroxynitrite and the activation of PARS were confirmed in hearts and lungs of the septic pigs by the immunohistochemical detection of nitrotyrosine and poly(ADP-ribose), respectively. Inhibition of PARS with PJ34 abolished poly(ADP-ribose) formation in septic animals. Cardiac inotropicity was evaluated by analysis of percentage of short axis diameter shortening (one-dimensional ejection fraction). Bacteremia induced a rapid and progressive loss of inotropy until death in vehicle-treated pigs. A similar decline was observed in the first 6 hrs in PJ34 pigs. This decline was reversed on all subsequent days. Control pigs exhibited rapid and significant increases in systemic vascular (SVR) and pulmonary vascular (PVR) resistances. This experimental model mimics many aspects of the human sepsis syndrome. Therefore, the positive survival benefit of PARS inhibition suggests a potential utility of PARS inhibitors in human sepsis management. PARS activation is triggered by DNA single-strand breakage. in prior studies, pharmacologic inhibition of PARS markedly improved myocardial contractile function in hypoxic-reoxygenated hearts as well as in a porcine model of hemorrhagic shock. Treatment with a potent PARS inhibitor improved survival and cardiovascular status and attenuated an important mediator component of the inflammatory response in a lethal porcine model of sepsis. (Crit Care Med 2002; 30:974 –980). The lack of efficacy of anti-inflammatory drugs, anti-coagulants, anti-oxidants, etc. in critically ill patients has shifted interest towards developing alternative treatments. Since inhibitors of the nuclear enzyme poly-(ADP-ribose) polymerase (PARP) were found to be beneficial in many pathophysiological conditions associated with oxidative stress and PARP-1 knock-out mice proved to be resistant to bacterial lipopolysaccharide (LPS)-induced septic shock, PARP. The mechanism of the protective effect of a potent PARP-1 inhibitor, PJ34 was studied in LPS-induced (20 mg/kg, i.p.) septic shock in mice. We demonstrated a significant inflammatory response by magnetic resonance imaging in the dorsal subcutaneous region, in the abdominal regions around the kidneys and in the inter-intestinal cavities. We have found necrotic and apoptotic histological changes as well as obstructed blood vessels in the liver and small intestine. Additionally, we have detected elevated tumor necrosis factor-a levels in the serum and nuclear factor kappa B activation in liver of LPS-treated mice. Pre-treating the animals with PJ34 (10 mg/kg, i.p. ), before the LPS challenge, besides rescuing the animals from LPS-induced death, attenuated all these changes presumably by activating the phosphatidylinositol 3-kinase–Akt/protein kinase B cytoprotective pathway. PJ34, a novel, potent PARP-1 inhibitor was found to protect against LPS induced tissue damage. PARP inhibitors protected Langendorff-perfused hearts against ischemia-reperfusion induced damages by activating the PI3-kinase–Akt pathway. The importance of the PI3-kinase–Akt pathway in LPS induced inflammatory mechanisms has gained support, raising the question whether this pathway was involved in the effect of PJ34 on LPS-induced septic shock. Among all the observed LPS-induced inflammatory responses, we found the most characteristic and most pronounced increases in the gastro-intestinal tract, but no signal increase could be observed inside the kidneys and in skeletal muscle, in the paravertebral or in the femoral muscle. All increases in signal intensities were significantly attenuated in mice treated with PJ34. PARP-1 inhibitor significantly protected the animals against LPS-induced death, with 86 and 43% surviving mice, respectively. PJ34 treatment itself did not induce death or any obvious damage. LPS treatment in the lung caused a significant increase in NF-kB activation that was slightly but not statistically significantly attenuated by PJ34 pre-treatment. The other tissue with observable LPS-induced pathological changes was the small intestine. Atrophy of villi may reflect the diarrhea observed in the LPS-treated animals and is in agreement with the results of Abreu et al. who found a Fas-mediated apoptosis in intestinal epithelial cells that was sensitised by inhibitors of PI3-kinase and opposed by expressing constitutively active Akt. Pre-treatment of the animals with a novel, potent PARP-1 inhibitor, PJ34, diminished the thoracic and abdominal inflammatory responses as revealed by T2 imaging, and abolished the above mentioned pathological changes. The protective role of PARP inhibitors in septic shock is likely to be more complex than merely the regulation of NF-kB/Rel-dependent gene expression. Activation of the PI3-kinase–Akt/protein kinase B cytoprotective pathway is likely to contribute to the protective effects of PARP inhibitors in shock and inflammation. Infusion of LPS caused a marked decrease in mean arterial pressure (MAP), metabolic acidosis, and hypoxia. These effects were reversed by co-administration of carboxy-PTIO, without affecting other hemodynamic parameters. In control animals, neither hemodynamic nor blood gas parameters changed with or without carboxy-PTIO. by scavenging excess NO from the circulation without affecting NO synthase (NOS) activity. An NO scavenger, carboxy-PTIO, may be preferable to non-selective NOS inhibitors for the treatment of human septic shock. disruption of the integrity of microvascular endothelium. Asymmetrical dimethyl arginine (ADMA) is an endogenous non-selective inhibitor of nitric oxide synthase that may influence the severity of organ failure and the occurrence of shock secondary to an infectious insult. Levels may be genetically determined by a promoter polymorphism in a regulatory gene encoding dimethylarginine dimethylaminohydrolase II (DDAH II). A prospective observational study was designed, and 47 intensive care unit (ICU) patients with severe sepsis and 10 healthy controls were enrolled. Serum ADMA and IL-6 were assayed on admission to the ICU and seven days later. Allelic variation for a polymorphism at position -449 in the DDAH II gene was assessed in each patient. ADMA levels and Sequential Organ Failure Assessment scores were directly associated on day one (p = 0.0001) and day seven (p = 0.002). The degree of acidaemia and lactaemia was directly correlated with ADMA levels at both time points (p < 0.01). On day seven, IL-6 was directly correlated with ADMA levels (p = 0.006). The variant allele with G at position -449 in the DDAH II gene was associated with increased ADMA concentrations at both time points (p < 0.05). Severity of organ failure, inflammation and presence of early shock in severe sepsis are associated with increased ADMA levels. ADMA concentrations may be influenced by a polymorphism in the DDAH II gene. at higher doses, the effects are reversed. This finding may indicate that small amounts of NO produced by iNOS may be necessary to maintain contractility and can be cardio-protective in experimental sepsis. VM Victor, K J McCreath and M Rochaa. Recent Progress in Pharmacological Research of Antioxidants in Pathological Conditions: Cardiovascular Health. Recent Patents on Anti-Infective Drug Discovery, 2006, 1, 17-31 17. CC Wang, JE Lai, LG Chen, KY Yen, et al. Inducible Nitric Oxide Synthase Inhibitors of Chinese Herbs. Part 2: Naturally Occurring Furanocoumarins’. Bioorganic & Medicinal Chemistry 2000; 8:2701-2707. Wm Kazmierski, G Wolberg, Jgwilson, et al. Iron chelates bind nitric oxide and decrease mortality in an experimental model of septic shock. Proc. Natl. Acad. Sci. USA 1996;93:9138-9141. RD Goldfarb, A Marton, É Szabó, L Virág, et al.. Protective effect of a novel, potent inhibitor of poly(adenosine 5′-diphosphate-ribose) synthetase in a porcine model of severe bacterial sepsis. Crit Care Med 2002; 30:974 –980. B Veres, F Gallyas Jr, G Varbiro, Z Berente, et al. Decrease of the inflammatory response and induction of the Akt/protein kinase B pathway by poly-(ADP-ribose) polymerase 1 inhibitor in endotoxin-induced septic shock. Biochemical Pharmacology 2003; 65: 1373–1382. endogenously produced VIP and PACAP are participants of the natural anti-inflammatory machinery.